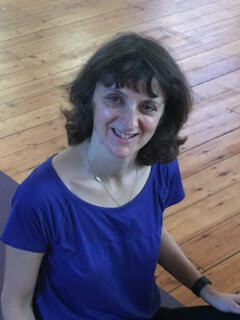 Friendly, affordable and inclusive Yoga, Pilates, Dance and Fitness classes in Muswell Hill to guarantee results. Start your fitness journey here with us. JCW Fitness Yoga, Pilates & Mindfulness Retreat 18-19 April, at Bruisyard Hall in Suffolk. The Retreat is now FULLY BOOKED, but we hope to run more in future, click below for more info. Click here for more info and how to book. Register now to receive a WHOLE FREE WEEK – ie 7 days of unlimited access to classes and take your free week whenever you’re ready. Please just pre-book your first class only by emailing malika@jcwfitness.co.uk , or if it’s within 24 hours, please text Jane on 07961 801914. I have never understood how people can get hooked on exercise, and now I totally get it – I have never stuck to a gym, but I love JCW Fitness!. My body is toned and trim and the mental benefits are even greater. I feel calmer and more in control, it’s magical. We offer a wide range of effective fitness classes delivered by our team of highly trained and experienced instructors, who are there to help you reach your goals in a friendly and inclusive environment. There is no need to pre-book classes, making it easy and convenient for you to attend. We only require you to pre-book your very first class with us please, email malika@jcwfitness.co.uk . Our subscriptions offer great value for money, with no contracts, hidden costs or joining fees. Our subscriptions work on a monthly basis, and you don’t need to commit more than a month ahead. You can stop or change your subscription any time for no extra charge. Unlimited access to all classes for just £65 per calendar month, or a lighter version available for £52. Jane Wrafter has been a fitness instructor since 1999 and founded JCW Fitness in 2002. She has appeared on television as resident fitness expert on The Chrissy B Show, she is also Ambassador at Sweaty Betty Muswell Hill, and was interviewed by George Alagiah on the BBC World News. She has lived in Muswell Hill with her husband and two sons for 20 years, and her passion is to make exercise enjoyable, effective and accessible for everyone.